The Coffee Bean & Tea Leaf was slated to open a series new stores in Southern California in 2016 and needed more than 30 Wi-Fi circuits to support both their public Wi-Fi and POS systems in 20 days time. The company initially contracted to provide a terrestrial connection was projecting massive delays and restrictions of available bandwidth. In order to meet their quickly approaching deadlines, Coffee Bean looked to contract an outside local provider to administer a temporary solution. PRESS RELEASE — CHANNEL PARTNERS CONFERENCE & EXPO — April 17, 2018 — Innovative telecommunications company, GeoLinks (booth #4041), is excited to officially publicize its partnership with managed network services provider, QOS Networks. The strategic collaboration further enhances GeoLinks’ diverse portfolio enabling the telecom to deliver fully-supported Software-Defined Wide Area Networking (SD-WAN) to partners seeking enterprise or optimized WAN management. Powered by VeloCloud, GeoLinks’ SD-WAN offering will enable its partners to offer a 100% wireless solution utilizing ClearFiber™ along with Verizon Wireless LTE forfailover. QOS Networks will be handling the device’s provisioning, programming, and technical support. “As cloud adoption heats up the market, so does the need for flexible connectivity, and the QOS Networks partnership with GeoLinks represents the best of both worlds for progressive companies,” said QOS Networks’ Chief Executive Officer Frank Cittadino. Together, QOS and GeoLinks will enable customers to seamlessly take advantage of next gen technology to deliver a multi-platform user defined wide area network. GeoLinks will officially roll out SD-WAN to the channel at Channel Partners Conference and Expo April 17th through 20th in Las Vegas, Nevada. To learn more about the partnership or product offering, stop by GeoLinks’ Booth 4041 or schedule a 1:1 meeting with GeoLinks’ leadership in the Company’s private meeting suite. deployment solutions for optimization at the WAN edge. Our high-value approach to SD-WAN configuration for distributed enterprises serves leading organizations in banking, insurance, hospitality, telecom, retail, technology and transportation industries. QOS Networks supports its customers with world class support, SD-WAN professional services and hybrid cloud access expertise. For more information, please visit www.qosnet.com. GeoLinks: Let’s start with the basics, what is your role at GeoLinks? Phillip Deneef: As a chief strategy officer (CSO), I oversee the four different sales channels—direct, indirect, wholesale/carrier relationships, and government education— public relations, marketing, and customer success. This role is a new title that has been created as more technology and monthly recurring revenue companies have come about. Essentially, a CSO is responsible for generating the company’s revenue and making sure processes are in place to support your customers and prevent churn. GeoLinks: What got you to the position you are in today…what came before GeoLinks? Phillip Deneef: I got my start about 17 years ago in telecommunication space working in the mobility sector. 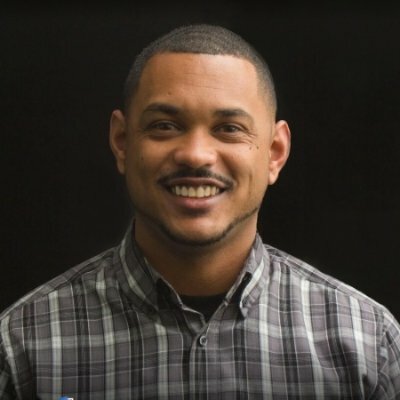 From there, I developed a passion for technology and business development, I learned old school sales tactics, and then started venturing out to learn additional skills such as operations, marketing, and customer success. Right before I began working at GeoLinks, I was at an advertising firm called Giant Partners out of Westlake, California. There I worked in an operations role delivering data and marketing campaigns to Fortune 500 companies. GeoLinks: What is your favorite part about working for GeoLinks? Phillip Deneef: My favorite part about working for GeoLinks is the culture. I get to have a work-life balance where I can spend time with family and still feel fulfilled whether I work an 8-hour day or a 12-hour day. I also always feel like I’m having an impact on moving the needle in a positive direction. GeoLinks: What’s something that most GeoLinks’ clients might not know about the company? Phillip Deneef: We’re awesome! Just kidding, I hope they know that. We are heavily vested in a variety of different avenues that aren’t just about making money. We care about our people, and about people in general. We want to see more individuals, including our team members, feel fulfilled in their day-to-day life. We also care a lot about our environmental impact, which is why we strive to power our sites with solar power and wind turbines. We want to have an impact on this world by closing the digital divide and providing Internet access to everyone. GeoLinks: GeoLinks new headquarters is making headlines…what is your favorite part? Phillip Deneef: My favorite part is the basketball court. I’m a die-hard basketball fan. I love shooting hoops, and I love the fact that many of my team members like to as well. GeoLinks: Outside of work…what is your favorite past time or hobby? Phillip Deneef: My favorite past time is spending time with wife and daughter. Second to that, is basketball. GeoLinks: What’s something that most of your coworkers don’t know about you? Phillip Deneef: Perhaps that when I retire, I want to live on a farm. GeoLinks: You are allowed to do anything you want, anywhere in the world, for one whole day…what do you do and where do you go? Phillip Deneef: I would want to experience the Grand Canyon or Niagara Falls with my family. One of the greatest joys of traveling with my daughter is seeing her face light up. GeoLinks: Alright pressures on….give us your best or favorite motivational quote? Phillip Deneef: Hard work beats talent when talent fails to work hard. GeoLinks: What’s next…what are you most excited for when you think of your future with GeoLinks? Phillip Deneef: I am most excited for being able to continue to invest in our local economy and grow the company so that we can rebuild the middle class. Southern California’s fastest growing B2B ISP California Internet expands nationally relocating company headquarters and changing company name to GeoLinks.  California’s fastest growing B2B ISP, California Internet LP, is excited to officially announce its new brand name, GeoLinks. The company’s rebranding coincides with a variety of notable company milestones including its official launch into the national market, induction as a Competitive Local Exchange Carrier (CLEC) public utility and headquarter relocation. With the company’s accelerated growth, GeoLinks officially welcomed its 50th employee in June and expects to employ upwards of 100 within the next 18 months. In effect, GeoLinks is thrilled to simultaneously announce its national headquarters are moving to Camarillo, California. The recently acquired 38,000 sq ft office building, previously home to Zynga Games, features a fully equipped employee gym, basketball court, spacious kitchen, break room, and much more. What’s next for the booming ISP? With Ditchfield and GeoLinks’ instrumental lobbying efforts in the recent passing of AB-1665 Telecommunications: California Advanced Services Fund, otherwise known as the Internet For All Act (IFAN), and GeoLinks’ California Public Utilities Commission Certificate of Public Convenience & Necessity, GeoLinks will continue to expand coverage and service offerings while developing strategic partnerships with national carriers and federal level agencies such as HUD, the Department of Interior and the Department of Education. GeoLinks assures customers and partners that its underlying corporate identity will remain unchanged for all legal and regulatory purposes issuing no major alterations to their contracts, support or contact information. For media inquiries, interview requests or to schedule an office tour, please contact Lexie Olson at lolson(at)geolinks(dot)com. Founded in 2011 by CEO, Skyler Ditchfield, and CTO, Ryan Hauf, GeoLinks is the fastest growing B2B fixed wireless ISP in Los Angeles, California. With immediate access to Southern California, GeoLinks services the largest coverage area of any single provider in California delivering enterprise-grade internet, layer 2 transport, and turnkey construction that is expertly tailored for all businesses and Anchor Institutions such as hospitals, libraries and schools. With industry leading installation times, GeoLinks’ flagship service, ClearFiber™, offers customers fixed wireless on the most resilient and scalable network ever built. Boasting Sub 25MS latency, 99.99% uptime, sub 4ms jitter, and a 4-hour max repair time, GeoLinks is proud to offer the state’s best industry service level agreement. Amongst its many accolades, GeoLinks was the largest construction grant winner for California K-12 schools and libraries in both 2016 and 2017. Servicing thousands of businesses across the state, GeoLinks officially became a CLEC and public utility in 2017. At SHLB’s 2017 Annual Convention, California Internet CEO Skyler Ditchfield took the stage addressing how and why California Internet’s fixed wireless technology is a viable solution when looking to close the digital divide in United States’ rural communities. More than 300 attendees gathered at the Hyatt Regency in Arlington, Virginia last week, May 31st – June 2, 2017, for the Schools, Health & Libraries Broadband (SHLB) Coalition’s 7th annual convention to discuss how industry leaders can connect rural anchor institutions and close the United States’ digital divide. With focus on how to build broadband networks in rural communities, California Internet’s CEO, Sklyer Ditchfield, took the stage sharing the proven success of fixed wireless technology and how it is a viable solution in closing the digital divide. Outside of his speech, Ditchfield and Deneef had the opportunity to further interface with newly inducted FCC Chairman Ajit Pai and SHLB Executive Director John Windhausen over dinner at Chesapeake Room. The evening allowed the regional carrier an opportunity to share and reiterate its experience and success using fixed wireless to reduce the digital divide. Ditchfield and Deneef’s efforts were met with understanding, appreciation and support. In the days following the convention, Ditchfield and Deneef met with various anchor entities to initiate the process of acquiring the funds needed to achieve their digital goals. With additional support from the recent passing of California’s AB 1665 Bill, California Internet is on a fast track for national expansion. Moving forward, California Internet plans to work towards securing additional grant money, developing strategic partnerships and expanding its metro footprint with a 100gbps backbone and ability to deliver 10gbps via fixed wireless. Founded in 2011 by CEO, Skyler Ditchfield, and CTO, Ryan Hauf, California Internet is the fastest growing B2B fixed wireless ISP in Los Angeles, California. With immediate access to California’s rural communities, California Internet services the largest coverage area of any single provider in California delivering enterprise-class internet, layer 2 transport, and turnkey construction that is expertly tailored for all businesses and Anchor Intuitions such as hospitals, libraries and schools. With industry leading installation times, California Internet’s flagship service, ClearFiber™, offers customers fixed wireless on the most resilient and scalable network ever built. Boasting Sub 25MS latency, 99.99% uptime, sub 4ms jitter, and a 4-hour max repair time, California Internet is proud to offer the state’s best industry service level agreement. Servicing thousands of businesses across the state, California Internet officially became a CLEC and public utility in 2017. The Schools, Health & Libraries Broadband (SHLB) Coalition was created in 2009 in Washington, D.C. to help address the shortage of adequate broadband for anchor institutions and their communities. [“SHLB” is pronounced “SHELL-bee”] The SHLB Coalition is a broad-based organization of anchor institutions, commercial companies and non-profit broadband providers, foundations, public interest groups, and others that work together to develop and support policies to improve broadband connectivity for anchor institutions and their communities in all regions of the country – urban, suburban and especially rural. We receive financial support from membership dues, from our events, and from the Bill & Melinda Gates Foundation. The SHLB Coalition is founded on the belief that deploying broadband networks to serve anchor institutions is a cost-efficient and vitally important investment in our nation’s future. Deploying broadband to anchor institutions can improve broadband access to millions of people (students, low-income and elderly people, migrants, etc.) who may not otherwise have access to the Internet. Anchor institution personnel can train people about broadband services and technologies, thereby stimulating broadband usage and demand. Furthermore, high-capacity “Middle Mile” broadband networks serving community anchor institutions can be used as “jumping off points” to serve surrounding residential and business consumers. Several studies show that building high-capacity broadband to community anchor institutions has a multiplier effect that generates tremendous economic growth for the community and the nation.